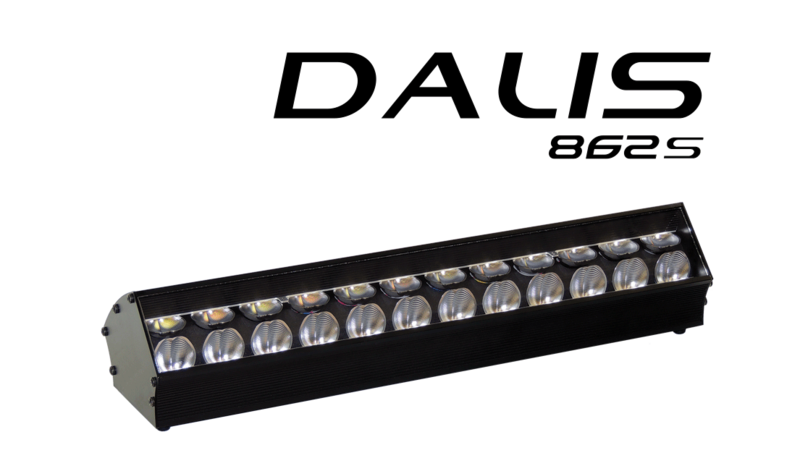 Designed in partnership with Laser Imagineering, Dalis 862 is all about innovation when it comes to front-edge stage lighting. Dalis Footlight offers a true tunable white from 2200 to 6500K and is available in two different formats. 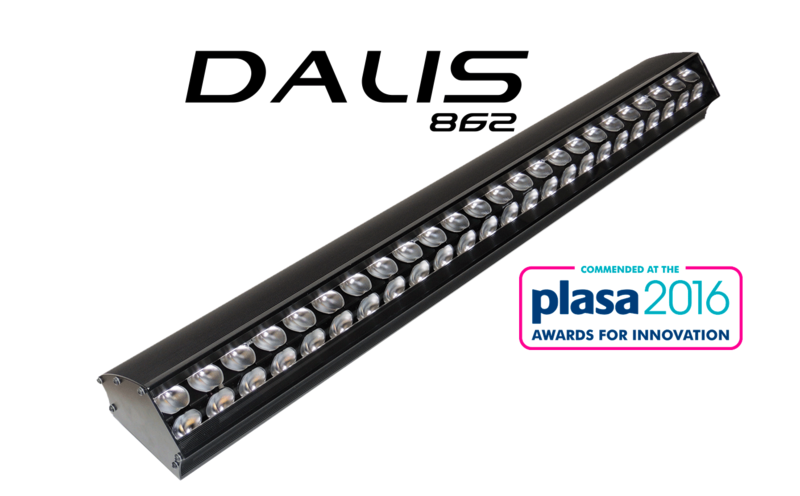 Dalis 862 is the original 1m model incorporating 48 asymmetric reflectors, whereas Dalis 862S is a new shortened variant including 24 reflectors at 50cm in length. All reflectors are arranged in a double row. 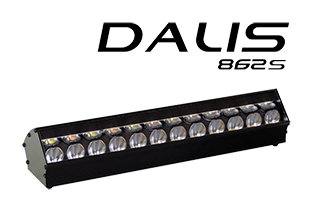 Each row can be controlled independently, giving Dalis 862 the ability to carefully manage upstage and downstage lighting. The Footlight batten is black and inconspicuous from the audience viewpoint to make sure it does not impinge on the stage layout in any way. All controls and connections are located under the unit to maintain clean sight lines. It also integrates ‘mark’ LEDs (4 with Dalis 862 and 2 with Dalis 862S) which can be used as position markers or cue lights for the performers on stage, and also as safety indicators to mark the edge of the stage. Fundamental qualities for a footlight are the ability to carefully manage upstage and downstage lighting and to produce an excellent quality of white light. 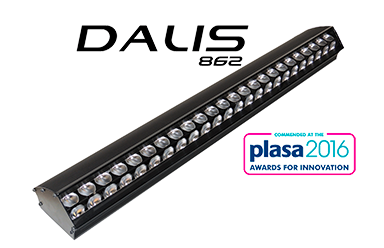 Dalis 862 is unique in meeting all of these requirements in a stylish, low-profile unit that is equally at home in entertainment, exhibition and retail environments.